What was used to bind bricks and is there any similarity with ancient brick structures elsewhere in India? 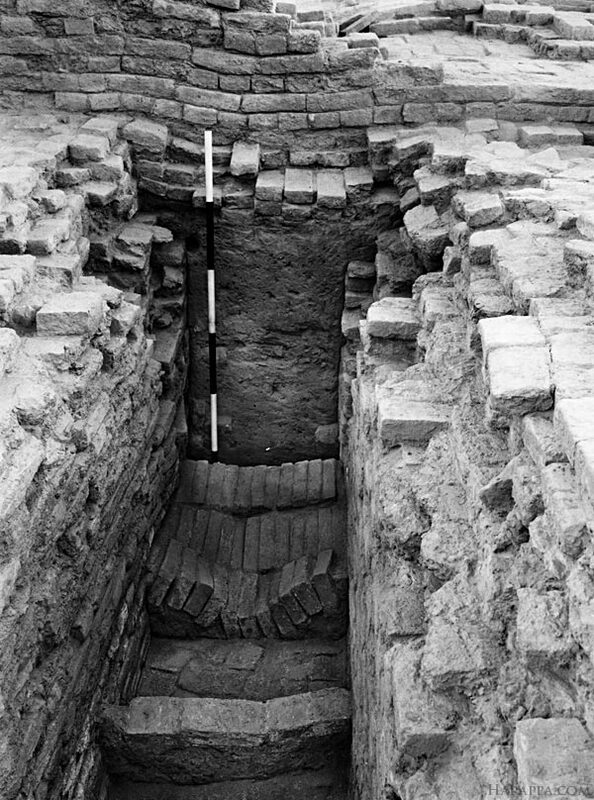 Are there similarities between the brick construction used in IVC and later day construction found elsewhere in India; for example the Tsunami temple recently excavated near Mahapalipuram in Tamil Nadu? What did the ancients use to bind one brick with another? The Harappans generally used clay or mud mortar to build their fired brick and also their mud brick buildings. They did not use lime mortar. Many brick buildings in northern and western India and Pakistan are still made in the same manner. Above: Narrow street in Mohenjo-daro.